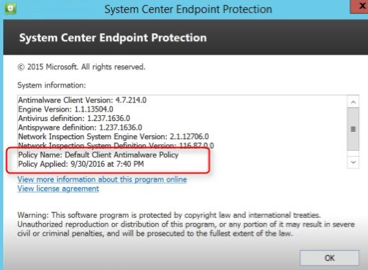 SCCM Endpoint Protection is not the simplest SCCM tasks to put in place. Over the years, we trained many SCCM administrator using a simple approach and deployment strategy. We created this complete SCCM Endpoint Protection Guide based on our knowledge and experience. This guide is a best-practice guide on how to plan, configure, manage and deploy Endpoint Protection with SCCM. 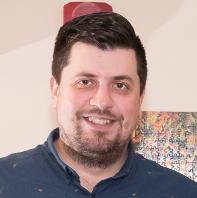 This guide aims to help SCCM administrator understand the basic concept of each part of the Endpoint Protection management. 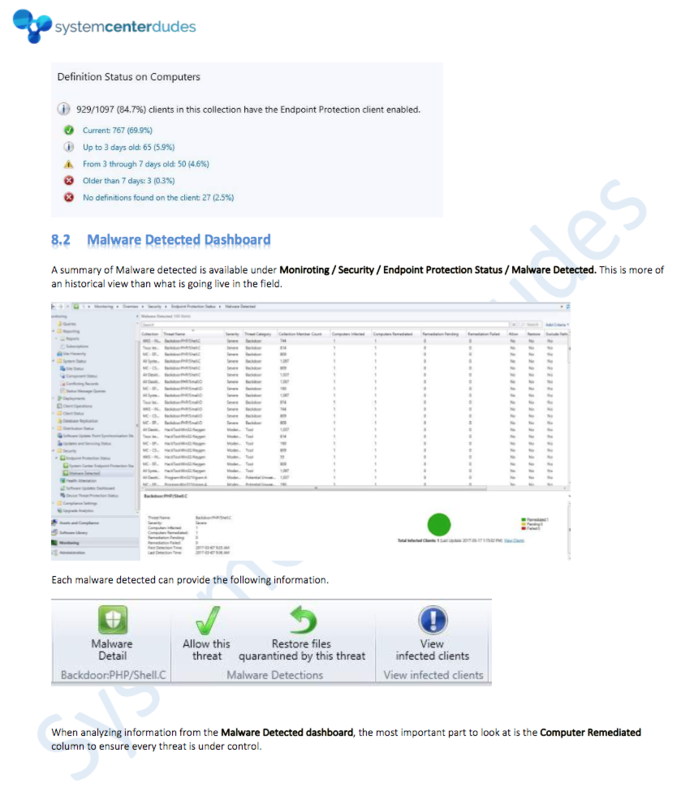 Many Endpoint Protection settings require customization based on your environment, this document describe a typical case that can be used in any organization as a good starting point for an efficient malware protection. 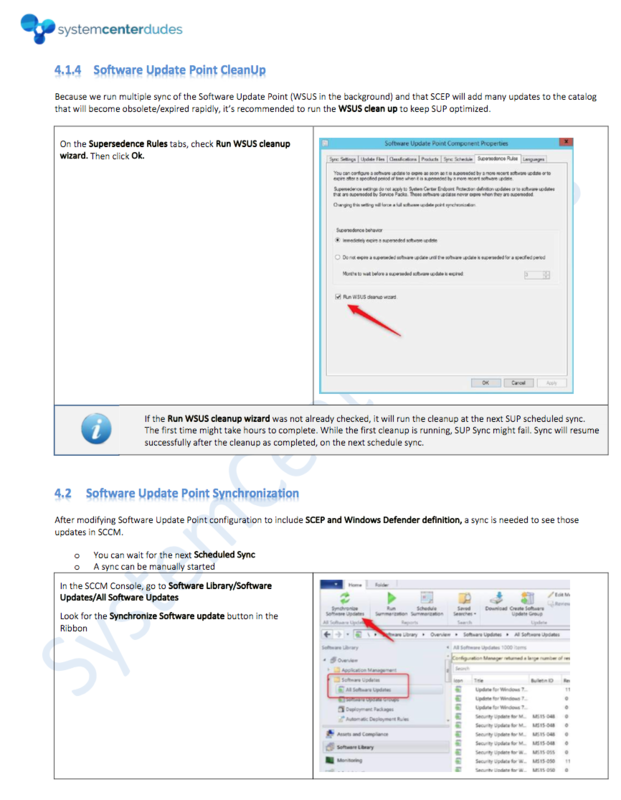 This guide does not explain how to setup your Software Update Point. 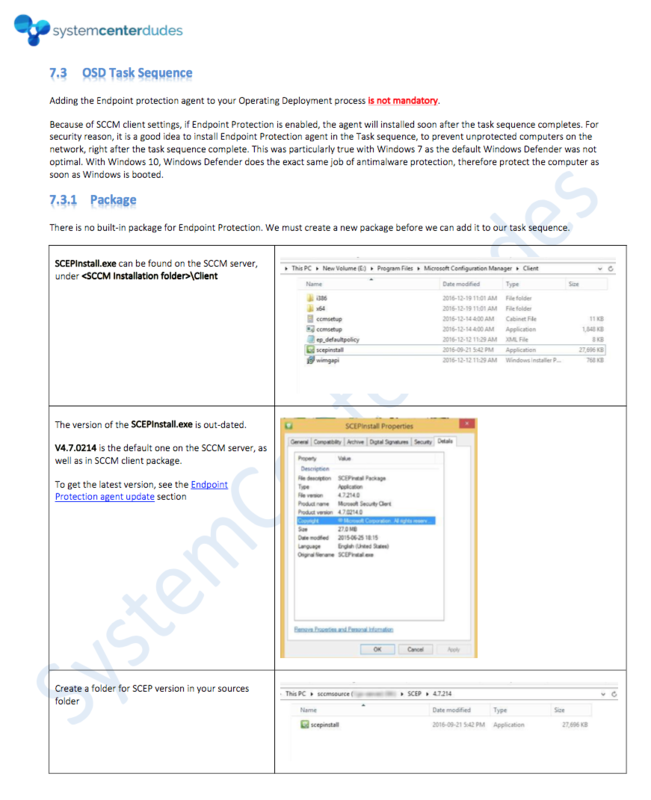 Download and own this SCCM Endpoint Protection Management Guide in a single PDF file. The PDF file is a 67 pages document that contains all information to manage endpoint protection with SCCM. Use our products page or use the button below to download it. Is this update to date to reflect 1706? 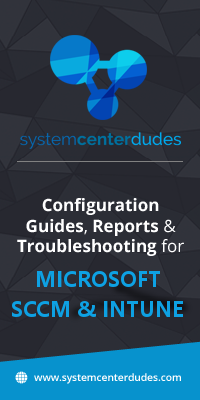 yes this guide is still accurate for SCCM CB 1706. I have a quick question. On page 20, “A new Software Update Package should be used for SCEP”, the screenshot shows a UNC path to package source. Do we create a new share or does this point to something that should already exist? If you have a UNC path for different sources for SCCM (driver, OS, package, Software update) you can use that share. Having a specific (and new) folder to store SCEP definition updates is the way to do it. I bought another report and have yet to receive it yet. I want to buy more of these reports but I don’t know if you guys are even in business or what’s happening. You definitely processed my card but no product. Most of us are on summer holidays now. Will look into this asap.